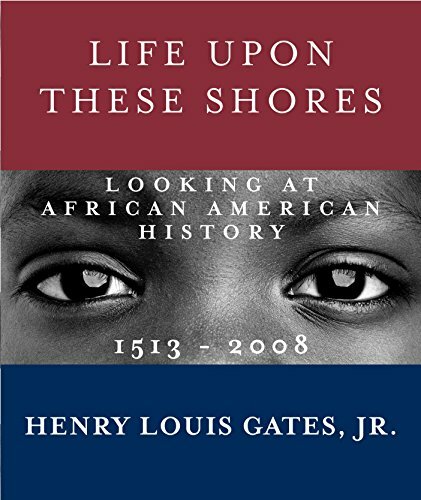 Reading Life Upon These Shores: Looking at African American History 1513–2008 by Henry Louis Gates, Jr., is like walking through history one day at a time. The rich content of this book pulls the reader in many different directions, and yet Mr. Gates keeps the direction focused. Life Upon These Shores brings us a depth of knowledge into the slave trade throughout America, the Caribbean and across the waters to Britain. Mr. Gates details how slavery began and continued to exist in America, how it moved across the middle of the country as the geography changed, and how it was viewed from both sides of the fence for hundreds of years. But author Gates gently directs us around corners and through the maze of the African American people to share with us the countless successes that arose from despair and we watch as the gifted writers, politicians, businesspersons, athletes, entertainers, and military heroes remain steadfast as they move from adversity to success. He gracefully steers us through 500 years and shows us new faces such as Queen Nzinga, queen of the Mbundu in 1626; Richard Potter, a 19th century black performer; and Bud Fowler, a black baseball player; and he reintroduces us to familiar names such as Crispus Attucks, W. E. B. Du Bois, and Barack Obama. We learn about the drama of Nat Turner and the heroics of the Tuskegee Airmen. With each new story we sit at Mr. Gates’ feet, rest our chin in our hands, and listen and learn. This book is moving in its many accounts of the African American experience. It is difficult—almost impossible—to do justice to the breadth of the book’s coverage. It is also difficult to sum up in a few short words the education one gets reading this book. History is fascinating in and of itself, but Henry Louis Gates, Jr. has thrown the horror of the Ku Klux Klan, the respect of Martin Luther King, Jr., the honor of Ida B. Wells, the talent of Marian Anderson, and a multitude of other individuals and events into the pot, stirring them all together to produce an exceptional reading encounter. He gently educates us about how the African American people faced misfortune and, while not always successful, they remained determined and stayed to start a new day. Technically, the book is carefully crafted into seventeen parts with Mr. Gates guiding the reader from the origins of the slave trade through resistance, the Civil War and Reconstruction, Jim Crow, World Wars I and II, the Civil Rights Movement, and cultural integration. Each section is long enough to whet our appetites, but short enough to keep our interest. Author Gates intersperses his text with over 740 colorful images of the people and events depicted in these chapters. He chooses his words carefully as he relates the history of the African American people, weaving their stories into the fabric of America. And while many of the stories in Life Upon These Shores give us pause, Mr. Gates makes us richer with the knowledge of what went before—and what can be in the future.